Good Wolf Bad Wolf ? I came across this page while reading “by Your Side” for Colin Fry. 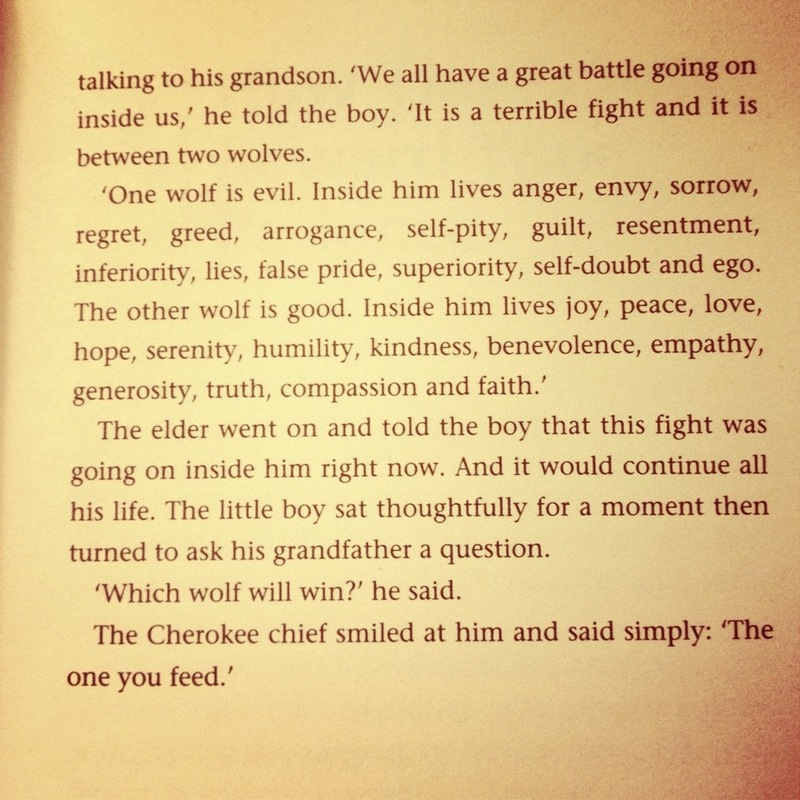 The wolf story is simply explaining the battle between the lower self and higher that are both inside every human being. We are in control of feeding the wolf that will survive inside us. This entry was posted in Free Spirit, Good Reads, Short Stories - Quotes and tagged Books, inspiration, short stories by Shireen. Bookmark the permalink. Great piece, thanks for the moral of my day. That has got me thinking. It’s good for the soul.